The Doctor (Patrick Troughton) and his companions arrive on a human colony in the far flung future. The colony appears to be a giant recreational complex - a holiday camp for rest and relaxation. Everyone looks happy and carefree but all is not as it seems. 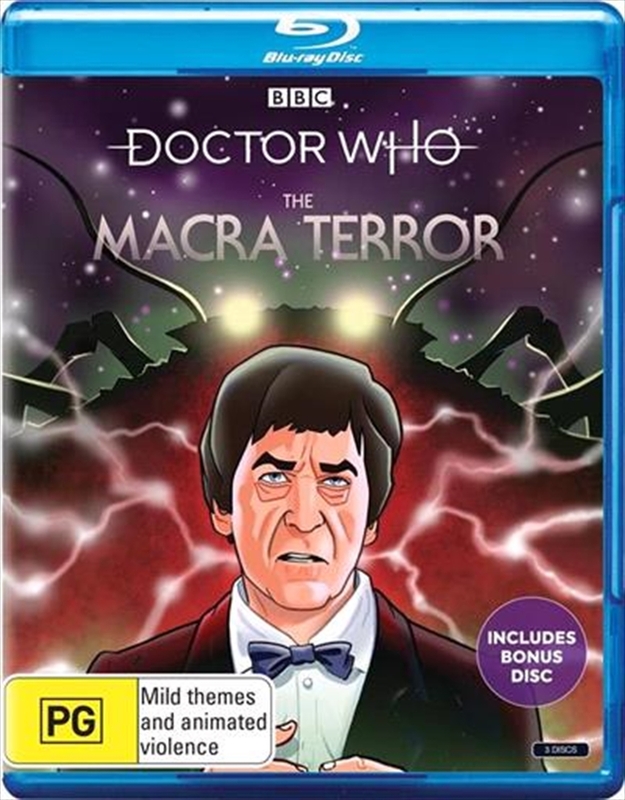 The colony has been infiltrated and brainwashed by a race of giant parasitic crab creatures called the Macra. The Macra have only returned once since, 40 years later, coming face to face with the Tenth Doctor (David Tennant) and Martha Jones (Freema Agyeman)The 4 x 25 min missing episodes, which were originally part of Doctor Whos (now mostly lost) fourth season, have been animated for the first time.